like good manners, never goes out of style." Holly believes that if a room is elegant and inviting, it will appear as if it has simply "evolved" over time. It is often difficult to decipher the quiet nuances and subtle details of stately design, but Holly inherently knows. She relishes sharing her knowledge and loves to impart her passion for well-appointed style and grace. Sign up to receive Holly's weekly newsletter on the secret nuances of etiquette! Perhaps, you'll want to share with your loved ones too, as a kind gesture! 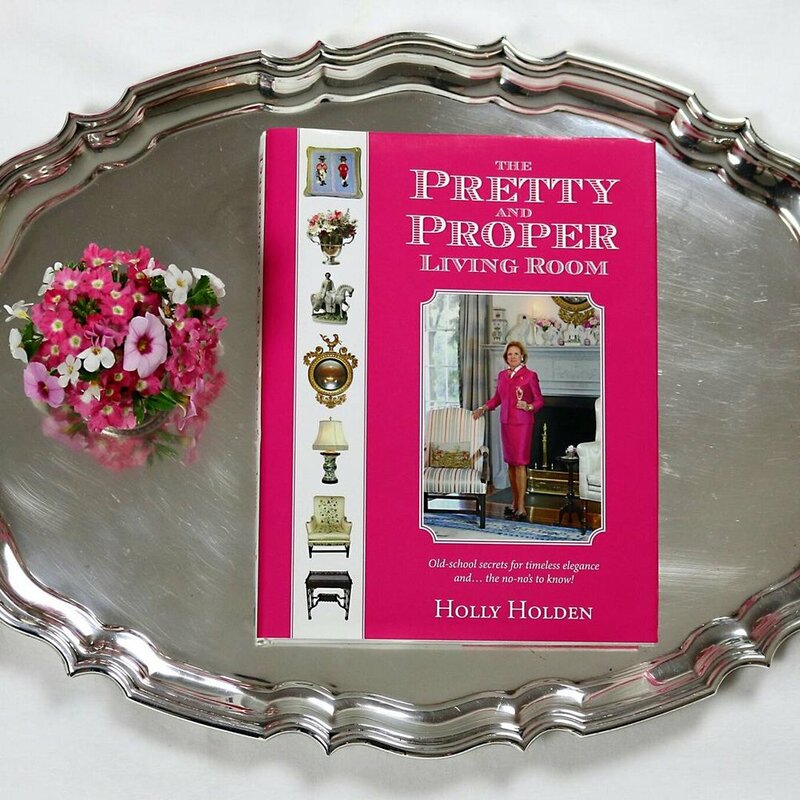 Classic interior design at its best, The Pretty and Proper Living Room is the first book in Holly Holden's Pretty and Proper series. With 378 full color pages, The Pretty and Proper Living Room is an indispensable guide to decorating with classic, timeless style. Holly's new channel, Holly Holden on YouTube, features the same level of style and sophistication, plus a few exciting surprise guests. You Are Cordially Invited extends an engraved invitation to viewers, welcoming them as guests in masterpiece houses containing distinguished collections of artwork. Viewers will explore these extraordinary houses first-hand, as they enjoy the elements of elegant interior design and entertaining with the owners and experts.